Mrs. Eleanore Buknis, age 89, of Andover Village, Andover, Ohio, formerly of Cleveland, Ohio and Salamanca, New York died Tuesday, September 27, 2016 at Andover Village. 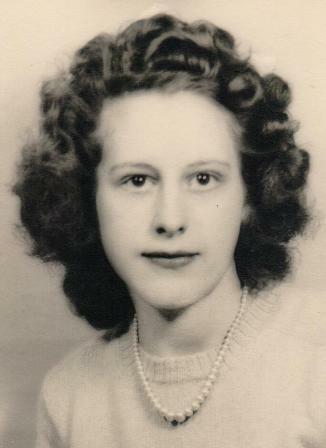 Born on February 8, 1927 in Salamanca, NY she was the daughter of the late Walenty and Antoinette Szech Wrobel. She was married on September 2, 1950 in Holy Cross Church, Salamanca, NY to Mr. Bernard Buknis Sr. who predeceased her on February 2004. She was a member of Our Lady of Peace Parish and she enjoyed playing Bingo and was a Cleveland Indians’ Fan. Surviving are: a son, Bernard (Judy) Buknis Jr., Jefferson, Ohio; 2 step grandchildren; 4 great grandchildren; several nieces and nephews including Debby Provorse, Great Valley, NY, Karen (Tim) Anderson, Salamanca, NY, Donna (George) Wilberg, Murrells Inlet, S.C., Diane (Joel) Talbot, Salamanca, NY. She was predeceased by 2 sisters, Emily Puda and Florence Stefanski. Friends may call at the O’Rourke & O’Rourke Inc. Funeral Home, 25 River Street, Salamanca, NY on Monday from 12 – 1 p.m. followed by a Mass of Christian Burial at 1:30 p.m. in Our Lady of Peace Parish with Rev. Peter Napierkowski, pastor, as celebrant. Entombment will be in Calvary Cemetery, Salamanca, New York.